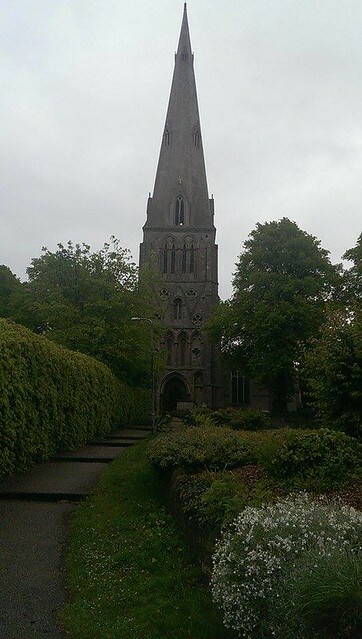 St Peter's Church, where building work was started in the 13th century, has the second-tallest spire in Northamptonshire at 202 feet (61.5m). The church stands on the site of a Saxon place of worship. During the 15th century patronage of the church changed from St Mary to St Peter. The church features a rare 'left-handed fiddler' decoration above the western entrance. A tomb-chest dedicated to John Wales, vicar from 1447 to 1496, proves the building has been in use for more than 550 years.